Crews are on the scene of a Saturday morning crash in White Marsh. At just before 9:30 a.m., the White Marsh Volunteer Fire Company reported that two of its units had responded to the intersection of Pulaski Highway and Ebenezer Road (21162). 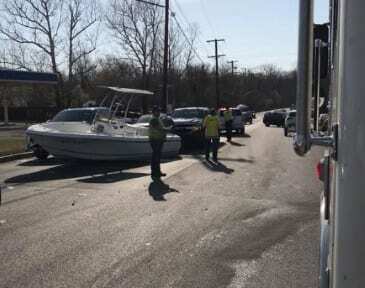 A boat reportedly came off of its trailer as a result of the crash.